BCL Chat: What’s Your Favorite Adaptation? Prepare yourself for so many rants. 1 Comment on BCL Chat: What’s Your Favorite Adaptation? We wanna know what book made you the type of person who’ll listen to two strangers drink and talk books on the Internet. 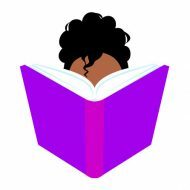 Leave a comment on BCL Chat: What Was Your First Book Love?